Those of you who've been reading here for awhile would know that I'm a little skincare obsessed. l actually spend more time on my daily skincare routine than my makeup and consider cleansing one of the most important steps. That wasn't always the case until I discovered how much of a difference just double cleansing my face has made to my complexion. Proper cleansing is an absolute must for good skin and that includes using cleansers appropriate to the current condition of my complexion as well as what I happen to have on it at the time. I actually reorganized out bathroom cabinet recently (a peek will be up here soon) and realized I own more facial cleansers than I do nail polish. Like double digits vs. single digits. And since I believe that each one has a specific purpose, I actually do rotate and use them all. I like to treat my cleansing process like a luxurious experience. Being a cleansing geek, I was excited when I first heard about the Makeremake brand since their entire range is dedicated to cleansers. And I was doubly excited when I realized that they're doing a collaboration with Miffy who happens to be on of my favorite characters ever. I will be reviewing three Makeremake cleansing products sent to me from BB Cosmetic today. BB Cosmetic is an online beauty shop based in South Korea that sells a wide range of competitively priced popular Korean cosmetics and Korean skin care products. BB Cosmetic offers free shipping worldwide along with free samples with each order and a 30 day money back guaranteed return policy. They sent along a very generous amount of samples to me with these products! About the Brand: Makeremake is a Korean brand owned by LG. Yes, that LG, the consumer electronics giant. It is part of a roster of beauty brands that includes SU:M37, Beilf, The History of Whoo, The Face Shop and philosophy which are housed under the umbrella of the company's personal care division. The Makeremake brand concept is that of a Cleansing Curator which seeks to provide "the perfect solution to cleanse all makeup and impurities, leaving your skin clear and refreshed." The name Makeremake stands for "MAKEup REmove MAKEup and their product line includes cleansers for the face, hair and body. Makeremake cleansers contain natural ingredients including wheat sprout juice and vital grains like lentil seed, quinoa, rye, oat and amaranth. This foaming cleanser has a unique soft cloud-like texture with a similar pH to the skin which makes it suitable for all skin types even sensitive. It is formulated to remove makeup all at once. Key Ingredients: Wheat Sprout Extract, Quinoa Seed Extract, Lentil Seed Extract, Rye Seed Extract, Amaranthus Caudatus Seed Extract, Oat Kernel Extract, Linseed Seed Oil. Packaging: A sturdy plastic tub that comes with a plastic spatula for hygienic dispensing. I have the special Miffy collaboration edition and it's super adorable! The standard product packaging is a clear container which is actually rather sleek looking. My Impressions: The Makeramake Cloud All In One Cleanser has a bouncy mousse-like texture that honestly makes me happy every time I use it. Plus since I received the special Miffy edition, I get the to see cute bunnies when I pick it up which is also a mood lifter in itself. 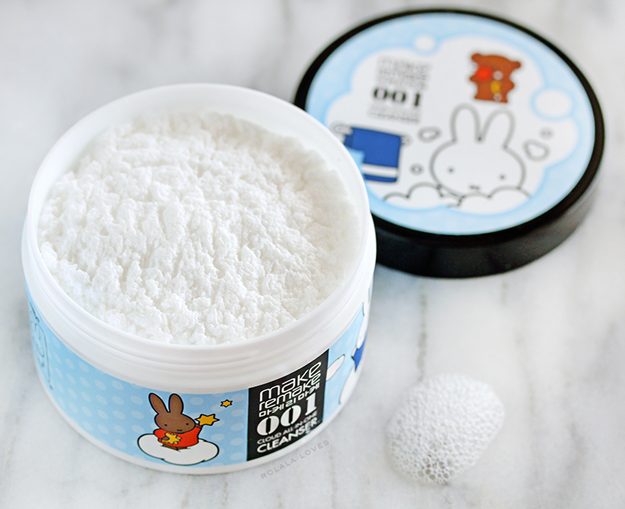 The cloud creates a very soft fluffy foam and has a slightly fizzy feel when rinsing it off my face. Since I double cleanse, I generally use this as my second cleanser and it does a really good job of making my face feel clean but not tight or dry. In the interest of testing it out as an all in one, I did skip my primary oil cleanser and just used this cleanser to remove my makeup/clean my face. While it fared well for cleansing, it wasn't all that effective at removing my waterproof mascara. It broke it down somewhat but residue was left behind. Despite not quite living up to it's all in one claims, I do really like this cleanser because it's fun to use and does work especially as a second cleanser or a morning cleanser. I will mention that this product has a fairly strong fragrance which seems to be characteristic of most AB products. It's kind of soapy and floral and didn't bother me since I can kind of turn off my sense of smell. A multi-purpose cleansing foam that is formulated to remove makeup, sunblock, and impurities, leaving skin feeling clean and moisturized. This product has a pH level similar to our skin which makes cleansing more efficient. This requires no additional cleansing products since it provides a deep cleanse. Key Ingredients: Lentil seed, rye, amaranth, oats, trehalose derived from cactus, black quinoa. Packaging: A stand up plastic tube that the product gets squeezed out of. 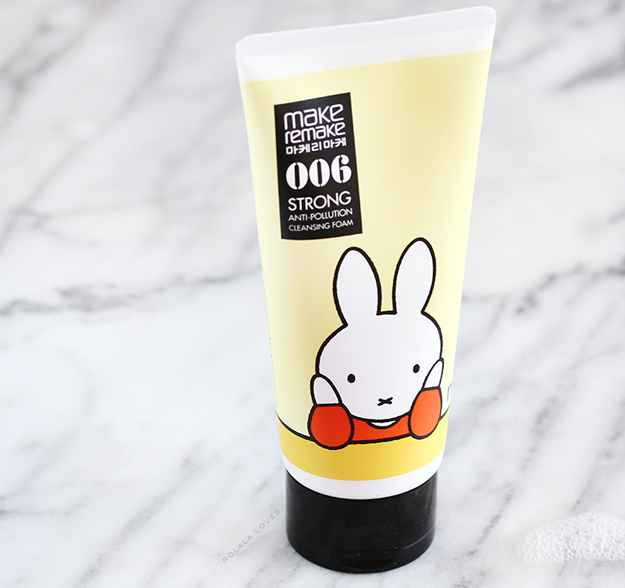 My Impressions: I was a tad wary of the Makeremake Strong Anti-Pollution Cleansing Foam off the bat since it has the word "strong" in it, so I was pleasantly surprised that it was as gentle as it was effective. The low pH level definitely has something to do with that. I could see/feel that it provides a deeper cleanse especially when used with my Clarisonic or Foreo Luna so it was great when I had more makeup one or reapplied sunscreen multiple times. I also tested it out as an all in one and while it was better at removing my waterproof eye makeup than the Makeramake Cloud All In One Cleanse, it still didn't quite remove it completely. That said, this is an effective deep skin cleanser that will leave your face feeling soft and clean without any tightness what so ever. It also features the same strong fragrance of the Cloud All In One Cleanser. This is a non irritating and smoothing cleanser that is suitable for all skin types including sensitive. Massage it into and rinse clean for soft and refreshed skin. Key Ingredients: Lentil seed, rye, amaranth, oats, coconut-derived ingredients, amino acids. 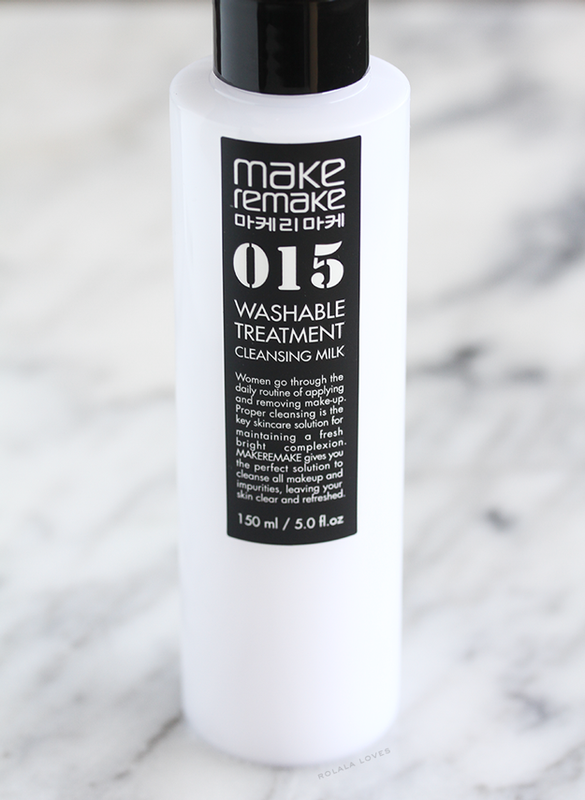 My Impressions: The Makeremake Washable Treatment Cleansing Milk feels like a lotion and it has a strong perfumed scent that I didn't really love or hate. Milk type cleansers don't foam and are generally ideal for dry skin types since they don't strip away oils and help seal moisture in. This cleanser which works best applied to dry skin does just that and it has a rich and replenishing feeling. I think that this is one that I might like even more during the cooler months when my skin tends to be drier from the winter air and indoor heating. I personally prefer to use this type of cleanser in the morning or on makeup free days. Overall I enjoyed my experience with these Makeremake cleansers. They prove that foaming cleansers don't need to be drying or stripping to cleanse deeply and effectively. These products aren't groundbreaking but they're certainly better than most and I think they stand out for how they cleanse without disrupting the skin's natural pH balance. If you're using cleanser that make your skin feel dry or tight afterwards, they probably have too high if a pH level. I used to think that the type of cleansers that I use didn't matter all that much but now I know better and they can make more of a difference on your skin than you even realize so you have to be careful to use ones tailored to your skin needs. It would've been fantastic if either the Cloud All In One Cleanser and Strong Anti-Pollution Cleansing Foam could also remove waterproof eye makeup but that didn't really bother me since I don't feel like my face is fully clean unless I double cleanse anyway and my oil or balm cleanser already takes care of that. I also wouldn't have minded if they weren't so heavily scented or had more of an earthy scent to match up to the ingredients but at least the fragrance wears off quickly. MakeReMake cleansers are available for sale through BB Cosmetic. You can click on the names for links to purchase. What do you think of these cleansers? Is there one you'd want to try? What's your favorite cleanser? Disclosure: This post was sponsored by BB Cosmetics and features products received for review. For more details about my product review policy, copyright, and information about affiliate links, please refer to the Policies page of this blog. Not gonna lie, the packaging alone is almost enough to make me want to try them. Lovely packaging and interesting products!!! The packaging is to cute how cool is that cloud cleanser I will love to try it. Ooooo....thanks for this detailed review, Rowena:) Makeremake is one Asian brand I don't see quite often in Asian stores here, so good to know these cleansers do the job. 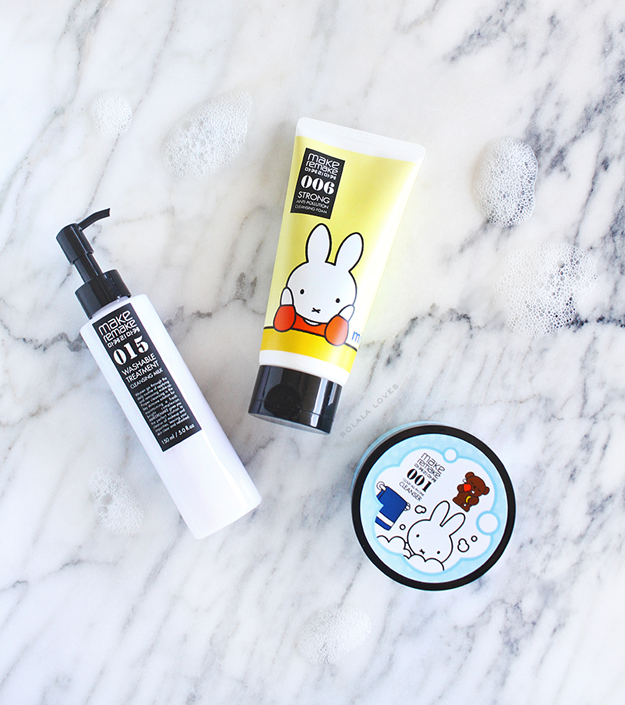 And I really love how Asian cosmetics always do these cute collabs:D I really want all the things from the Gudetama one that Holika Holika did...hehe...Miffy on anything is a win-win as well. Makeremake sounds like a great brand. How great they are all about face cleaners. All of these cleaners seem lovely. I totally agree with everything your wrote. Cleaning our skin is important. I clean my face even when I don't wear any make up..and I rotate between cleaners too. Nothing fancy, but I like to have a cleaner milk, face tonic, nice natural soap and a good peel in my beauty box. That's more essential to me than any make up product. I like milk type and foam also, micellar water for make-up and cleansing for the rest of the face. These products sounds nice, less the product too perfumed. I'm also intrigued and really like good cleansers. These sound like they love up to their claims so that's awesome and a cute 🐰 also helps! Awwweee these are the cutest beauty products I have ever seen! I enjoyed this makeup remover/cleansers and glad that they are not harsh/drying! I would totally fall for the Miffy packaging. It looks so inviting :) Glad that you are happy with the products overall. You already know I'm nonchalant about cleansers but reading about these make me want to try them all. I really like the cloud cleanser mainly because I have never seen or use anything like it before. 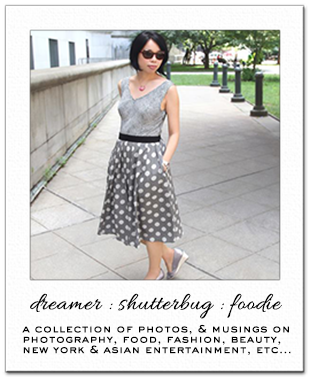 Thank you for the intro to the site, Rowena, will check them out later today. Oh my goodness the packaging is too cute! Cloud cleanser? I've never heard of such a thing. That sounds amazing! Sounds like a must try product. The packaging is adorable too. Rowena, I would probably choose the cloud all in one cleanser. Anything that fizzes & bubbles would be right up my alley! LOL It sounds so entertaining :D Plus it cleanses well. Love the cute packaging. Thanks for this review. I didn't know about them. OMG SO CUTE!! I am partial to Molang--I hope he gets featured on something one day!! The packaging is really cute! First off, the cute packaging is a winner already, though this is just special edition, but still, they are adorable and the ingredient listing is a bonus. I would usually double cleanse as well, especially when I have makeup on for the day. My skin just feels cleaner that way. I am still looking around for a cleansing milk, I do get advised from BAs to better use a milk type of cleanser rather than oil, but so far, I am still loving my oil cleanser, but I am open to a good cleansing milk. Thanks for sharing! Lovely line of products, and I personally feel it is always good to have a brand that truly focuses on perfecting that one function or streamlining its product line, like this one, priding themselves as the cleanser experts. I always feel it is a good thing after all. Hope you are having a great week so far, my friend. I've to try them Rowena. I love using cleansers on my face and the Makeremake Washable Treatment Cleansing Milk sounds pretty interesting! Thanks for sharing your thoughts! I´d love to try the cloud cleanser. I enjoy special textures a lot, it makes the whole skincare process even more enjoyable. I'm not sure about the cleanser but that cleansing foam, I would seriously consider adding that to my line of skincare products. I simply love coming here Rowena.. I always find the best stuff to try. Out of all of these, the Makeremake Cloud All In One Cleanser sounds the most suitable for me to try. There was a time when I used to have more makeup/beauty items than actual skincare products, but for the past decade skincare products have probably been what I spend most on, and have the more of.